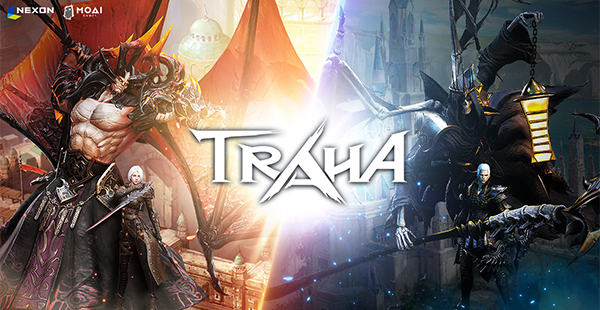 Pre-orders for Traha, Korea’s soon-to-be-released massively multiplayer online role-playing game (MMORPG),, exceeded 4 million, a phenomenal record, according to its creator Nexon. Nexon announced Thursday that 4 million people have signed up for the new mobile game Traha, developed by Moai Games, as of 9 a.m. on Thursday, a week before its official launch scheduled on April 18. It received 500,000 pre-orders in the first day it started to take pre-registration on February 14, 1 million in the second day and 2 million in the 10th. The company on Sunday opened up 10 new servers after closing the existing 38 servers for players to create their own characters prior to the official opening of the game. Its first demo-playing video was launched by one of the Korea’s top Youtubers Great Library and girl group A-pink member Yoon Bomi. The representative feature of Traha is the Infinity Class system, where players can change their weapons according to their classes. Its mega open field, equivalent to 16 times the size of Yeouido, and manual control system that gives 2-3 times more experience points to players are another factors heightening users’ expectations. Nexon will broadcast its second game-playing video at 8 p.m. on Friday on Twitch, a video-streaming site. Traha will be officially launched on April 18 through Android’s Google Play store and Apple’s App store.